A few days ago on the ISOGG Facebook group, someone mentioned a new tool by Brad Lyon that allows you to visualize interrelationships between family members. Below, I looked at descendants of my 5th great grandfather Avrohom Vizel. The tool takes a Gedcom and generates a chart showing relationships, with dots representing individuals on the year of their birth, giving a vertical timeline. I'm happy to be a part of a new service called genealogyDOTcoach which is launching today; here's the press release with more details! CEDAR HILLS, Utah - August 29, 2016 - A new family history service launched today that will fill a critical gap in the multi-billion dollar genealogy industry. genealogyDOTcoach (SM) is a new online service that matches up professional genealogists (called Genealogy Coaches) with people who want to have all the fun of making family history discoveries for themselves but just need a little assistance from someone they can trust. "With do-it-yourself sites like Ancestry.com and FamilySearch.org it has become so easy for anyone to start climbing their family tree," says co-founder, Janet Hovorka. "But, sometimes people get a little stuck in the process. The traditional option at that point has been to purchase a 10 or 20 hour research package from a professional genealogist. Many people can't afford that kind of help. Others are reluctant to do so because they want the joy of making those family history discoveries themselves. genealogyDOTcoach aims to fill that gap." I've blogged before about using Kitty Cooper's Chromosome Matcher to figure out which segments of my DNA came from which ancestors. Now that several more relatives have tested, I've been able to include them in my analysis, filling in some more of the blank areas. Since the last iteration, some cousins tested without my even knowing/asking, so it was a wonderful surprise seeing them pop up on my list of matches--and integrating them into this analysis. Avraham Vizel was my fifth great grandfather in two different ways. There is quite a bit written about him in the Yizkor book Sefer Maramaros on the page for his town of Bilovitz (also Kis-Kirva and Mala-Kirva; today Kryva). Avraham (who was apparently called the very creative "Avrum Bilovitzer") is said to originally be from the province of Galicia, nearby Krakow, where he lived with his widowed mother; he was a descendant of the Taz. While in Galicia, a prominent man in the village was impressed with him and wanted Avraham to marry his daughter--and promised Mrs. Vizel that she would be given money if this would happen. Beth's mtDNA--and a Scandinavian Connection?? Beth is my father's second cousin. A couple of years ago, we didn't know that she existed--but then I matched her nephew Dave with an autosomal test, and we found that my grandfather's aunt didn't die in the Holocaust like we had thought. (You can read details of that story here.) Since Beth is a generation closer than Dave to our mutual ancestors, she was willing to do DNA testing--and they ran both autosomal and mtDNA tests, since her direct female line would bring her to Hinda Diamond, my great-great grandmother. I expected to see multiple Jewish names in her list of matches. 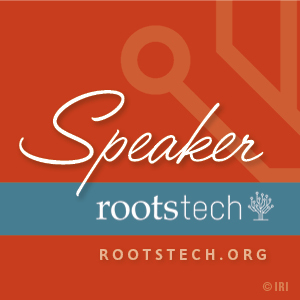 I've had a talk on basic Jewish genealogy accepted to RootsTech! A few weeks back, I wrote about my great-grandmother's first cousin Ezra Rutner and his children and grandchildren--most of whom were killed in the Holocaust. But some did survive, and I found reference to them in some documents newly online and searchable via Yad Vashem's database for the Soviet Extraordinary State Commission (under "Lists of Persecuted Persons"). I'll be blogging all week--you'll be able to see all my posts on IAJGS2016 here. I started off super-early with a bloggers' breakfast. Then, off to the Chernigov Guberniya BOF, which is the area which includes Nezhin. 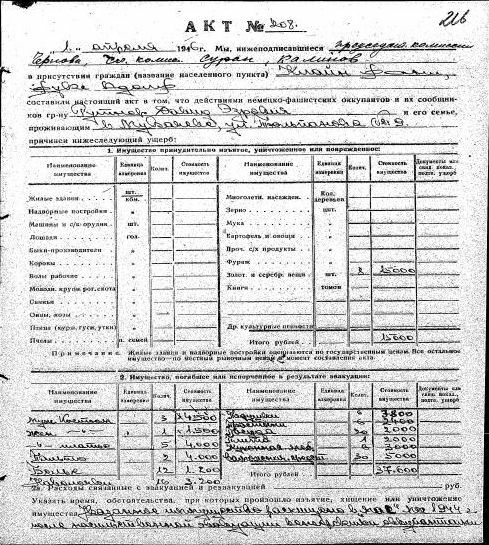 The group is going to start a project to transcribe the Chernigov Guberniya records that have been filmed by FamilySearch. And then I went to hear Vivian Kahn talk about "Hungarian for Family Researchers." First up was Alex Denisenko. He began by discussing the political geography of the Carpathian area. Carpathia is literally the geographic center of Europe. Carpathia rivers separate which rivers run to the Baltic and which to the Black Sea (continental divide). So it was a center of shipment. Jews involved in trade migrated there. Ukraine SIG meeting. Janette Silverman talked about the massive amounts of documents that Ukraine SIG has recently procured from the Central Archives for the History of the Jewish People (CAHJP). She talked about the wonderful response of her request for donations to help fund acquiring these documents. I started the day bright and early at 7:30 (after being awake since 4AM). I'm a member of IAJGS's Membership Development Committee, which had invited conference attendees who do not have a local Jewish Genealogy Society (JGS) to come talk about the possibility of creating one local to each. A similar meeting at the Boston conference in 2013 led to creation of JGS Maryland, so hopefully there will be some new societies forming from there! Then off to my first talk of the day--listen to Schelly Talalay Dardashti talk about "The 'Other' Side of Jewish Genealogy: Sephardic Research." My IAJGS conference started on an exhausted note, as I had a 5:30AM flight from Baltimore--and I couldn't fall asleep the night before. I did manage to get on an earlier flight for the Houston-Seattle leg, but boy was I tired (still am). There were two Chaim Mordechai Rutners in Kolodne. One was the brother of my great-great grandfather Shmuel Moshe (there were also two Shmuel Moshe Rutners in Kolodne--and the other Shmuel Moshe was a brother to the other Chaim Mordechai). 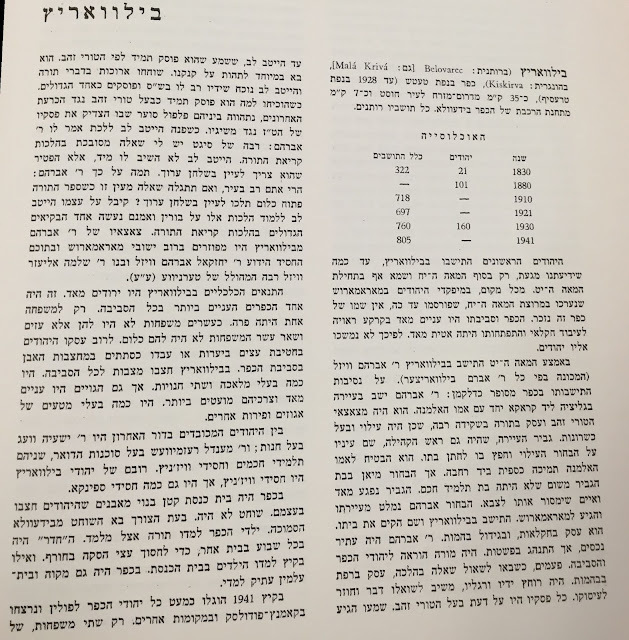 The Chaim Mordechai I'm discussing here was born to my great-great-great grandfather Mendel and his wife Ita Farkas around 1857 and died on May 20, 1920 in Dulfalva (now Dulovo, Subcarpathian Ukraine); he was the brother of my great-great grandfather.